Himalayan Experts is a registered trekking agency in Nepal based in Kathmandu. We are a young company offering personalized trekking services to suit your needs. We at Himalayan Experts, realize that Nepal can provide an endless variety of different experiences. So, we offer a variety of treks from short and relatively easy to longer and more energetic. 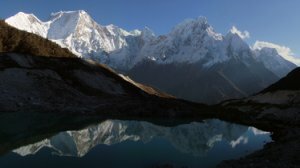 We are the specialists in trekking and climbing in Nepal, offering a huge range of Himalaya trekking and adventure travel options from the most popular trekking routes. Most importantly, the company is started by the highly experienced trekking guide, who has been in the industry since 1990 and managed by ex-cast member (customer care) of Walt Disney World, Florida (USA). All members are well trained and license holders to work in their fields of expertise and have wide range of knowledge in travel, tourism and trekking of Nepal. You can choose a preferred trekking and adventure activity from the detailed pages of each trekking options. We also specialize in custom trekking itineraries so we would be obliged to modify the package to suit your needs.